Dr. Ali was very easy to talk with, and directed the conversation when needed. It was clear that Dr. Ali wasvery experienced and that put me at ease. I would highly recommend him. Well worth the drive fr DC in rush hour traffic. Dr. Ali was very easy to talk with, and directed the conversation when needed. It was clear that Dr. Ali was very experienced and that put me at ease. I wouldhighly recommend him. Well worth the drive fr DC in rush hour traffic. ** Please make cancellations two days before appointment! **Dr. Ali's practice accepts cash, checks, and credit cards. ** If you do not have insurance - we are willing to work patients with different financial needs. Dr. Ali has 14 Years experience in all areas of Mental Health including both inpatient and outpatient Community and Public Mental Health. Currently has consulting privileges in Spring Groove Hospital Center, Washington Adventist Hospital, United Medical Center, Psychiatric Institute of Washington D.C and Bon Secours Hospital. Raising awareness and empowering patients and their families regarding mental illness. To create specialized interactive programs for children and adults with special needs. We offer comprehensive diagnostic psychiatric evaluations, which include: Psychopharmacological treatment. Individual and family Psychotherapy. Coordination with Medical and Mental Health Professionals. Specialized Psychiatric services are provided to children, adolescents and adults with Developmental Disabilities and Autism Spectrum Disorders through various agencies and organizations. Individual referrals are also welcomed. Substance Abuse Treatment with focus on relapse prevention, individualized therapy and Suboxone Maintenance. Psychiatric treatment including specific therapies and medication stabilization for patients with Traumatic Brain Injury. I was very pleased with my visit. I went in for my first ADHD medication and he didn’t make me feel awkward or weird about it as I’m very apprehensive about these powerful medicines. He asked a lot of questions tomake sure he concurred with my psychologists diagnosis, then told me all of my options and gave me the lowest possible level of medication to ease my concerns, after telling about at least 5 different ones. The setting was more like a doctors office rather than couches and recliners and typical images you see on tv. My psychologist office is more like that. Thanks Doc. See you again. Extremely kind and patient. Great with children. Stay away if you have anxiety or are suicidal. He will trigger you. Started by immediately asking me to pay before anything. When I was confused and asked for clarification on something he said he became very angry. He began totalk as if I was stupid and made me feel very unsafe. My experience at Dr. Syed Ali's office was excellent. There was no wait when I showed up for my appointment, and even though it was an initial consultation, I appreciated the efficiency of the paperwork I had to fill out inthe waiting room prior to being seen by Dr. Syed Ali. This is because the paperwork I filled out was all technical information, and the paperwork on my actual medical history, family background, mental wellness treatment, etc was all done with the doctor, as he asked me questions. 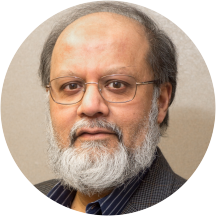 That made me feel as though Dr. Syed Ali was actually taking the time to listen to me, and asked all of the right questions to effectively assess my mental conditions and understand me as a psychiatrist. I would highly reccomend Dr. Syed Ali to anyone seeking a psychiatrist. Dr Ali is an amazing psychiatrists who has significantly helped me through my ADHD. I don't know how I would survive without him and his lovely desk staff. They are always extremely accommodating and willing to listen and help with anyissue. I recommend Dr. Ali to the fullest extent to anyone seeking psychiatric help. His professionalism and excellent bed side manner do not go unnoticed. I am very thankful that there are physicians like him practicing out in the world. I went to see Dr. Ali for a second opinion and because I was also looking for a new psychiatrist. During my first visit, he spent an hour and a half with me, going over mine and my family's health history.He had me walk him through my mental health issues for childhood up through the present. I appreciated this, as I think it provided him with a more thorough understanding than 'oh today I feel xyz.' I decided to use Dr. Ali as my psychiatrist, and the drive from DC is absolutely worth it! He is very knowledgable regarding pharmacology, and has worked with me to find medications that work well for my condition. Some reviewers complain that he's not as chatty and talkative as a therapist--and that's the thing, he's NOT a therapist. He IS a psychiatrist and his job is to diagnose you and recommend a treatment plan. Dr. Ali asks good questions, but it's really up to you how in-depth you want to answer; the more information you provide, the better it will be. He genuinely cares about your well-being, not just how many Rx he writes. Highly recommend! This doctor is all about writing the strips and that’s it. When he asks you how have you been. If you tell him he will not listen to you. So don’t waste your time. I want to find someone else. Idrive about 30 min to see him and it’s a waste of my time. He is the worst doctor ever!!! I went there and he asked me how are things? I told him I am going through hell right now. I told him everything I was going through. All he said was oh ok. Thenhe said did u take other drugs because of what u r going through? I said no. I even told him that I felt like dying last week. Then he gave me my prescription and he said bye. What if I died when I left his office? I thought he was a doctor to help u through and talk to u. I guess not. Even the lady (his wife) I. The front desk she is as rude as him. If anyone knows another doctor please let me know. I want to be anonymous I don’t want him it was me that wrote this because I know if he does he will be even meaner and not see me anymore. I need him until I find someone else. But people don’t go to him. He is very quick and to the point, but that is exactly what I was looking for. Genuinely interested in your well-being. Astute and non-invasive. It’s hard to find a good shrink who doesn’t have an agenda and I got lucky. My visit was reasonably brief, but I don't view that as a bad thing. It was a bit like going to see my primary care provider. I described what I've been going through, he asked some questions, and then prescribed whathe thought would best help and gave me a timeframe to schedule a follow up to check back in for possible adjustment. I'm very happy with my decision to see this psychiatrist. The visit was quick and he asked very little information about me. I would recommend him if you're looking for medication refills, but neither he nor his physical office space were inviting like a therapist's office would be. Dr Ali encourages honesty without judgement. Am greatful for him! It was the first time i have seen a psychiatrist in years. Ive been dealing with some things i need help with. He was extremely helpful and easy to talk to. I am actually looking forward to my next appointment. Ihave always been reluctant on dealing with my ADHD but Im very happy I met Dr. Ali and I left really feeking better about my future. Dr Ali was A great listener, empathetic, and prescribed medicine which helps me with my situation. A very plesant experience. This doctor is so sure of himself that he does not leave room for the patients opinion. He makes things up and declares that people are liars without paying enough attention to his notes to know that what he's saying isfalse. He wants to tell other doctors how to treat you and looks for nothing but release of information forms to be filled out so he can tell your doctor how to treat you. Even when he finds out that he is wrong about something he does not apologize. He is arrogant and rude. He is patient and really listens to the family and patient. Dr Ali was familiar with how all my child’s issues combined came together to create the storm we were in. He was kind and reassuring. I am so grateful we have found someone who is not only in network, and wedidn’t have to wait for 4-6mos to be seen, but also very competent! Dr. Syed was very attentive and treated me with respect. My daughter was very nervous, but he was kind and easy to talk too. If you're looking for warm bedside manner or talk therapy, this doctor may not be a good fit. Otherwise, if you know that you are looking for medication and are specific with explaining your needs you can get in and outquickly. The doctor is quick and efficient, but all business. I only require medication maintenance at this point in my treatment and have been very pleased with Dr. Ali. He listens to my input and provides options for making my treatment better. Easy to work with and straight to the point. Initially, wasn't sure how I felt about this practice because it didn't feel warm and friendly. Though I come to appreciate Dr. Ali and his front office staff's professionalism, kindness and ability to go navigate my insurance. Dr. Ali is veryknowledgeable when it comes to ADD, medication and teen-boys. Highly recommend! Very serious man, and very astute. He picks up on many things even if I don't fully say them or have a rambling explanation. Great doctor. DR. Ali, really cares about his patients. I highly recommended.